This is such a cute card! You've paired these images perfectly with the fun, striped dsp. And a rollercoaster is a great metaphor for motherhood! I like how you, and your friend, think, Linda! Ha! Thanks for this smile, and the earworm! So fun! 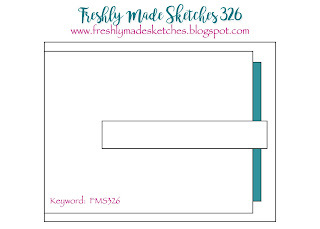 I purchased this bundle, too, and will be using it for a card front (like this) instead of a pop-out inside (like this). Love this card! They DO look like baby carriages! Fun card. I love how you used all those colorful layers of DSP. 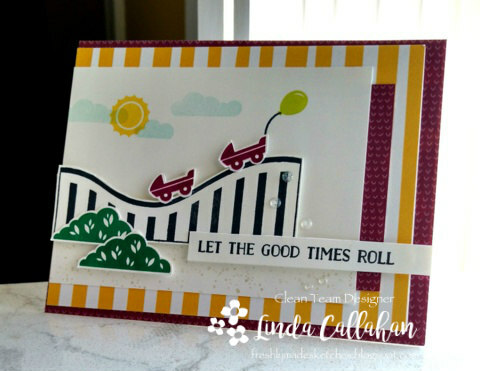 I love this card Linda and the idea of runaway baby carriages is hilarious!!!! Love the bright cheery colours! I am totally with you and would prefer being on solid ground than on anything like a roller coaster! LOL all I can see now is runaway baby carriages! Too funny! But what a super-cute card! I'm kind of wishing I wouldn't have read your words because now I'm trying really hard NOT to see run-away strollers!! Although I'm thinking I no longer regret not ordering that set!! It's a very cute card regardless - I LOVE all the bold colors. Oh, now, this would be truly perfect for a twin welcome, lol!! So funny (and true). This is awesome! Wow, Linda! This such a fun card! Love this sweet little scene so much.